The stages in eastern and north-eastern Victoria were a fitting competitive finale to the event. Generally good quality but challenging mountain roads ensured that the pressure was there right up to the end, and if the margin between placings was close, there was ample opportunity to make up a handful of minutes or to make an error. Brock had less than 7 minutes on Ferguson, whereas Dunkerton had a fairly comfortable 30 minutes margin over Carr. Once Portman was forced to skip controls, there was only about 20 minutes between Loader, Herrmann and Barth. Davis had 2 hours on Watson for 10th place but a broken axle on the 180B would bring that back to a paper thin margin. It was perhaps best that the leading crews did this stage in darkness as there are some fearsome drops off the edge of the twisting mountain road that crosses the Snowy River at McKillops Bridge. 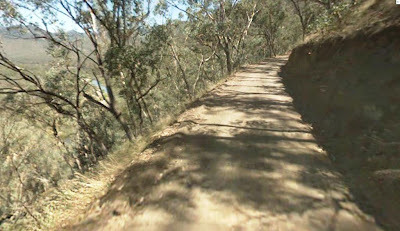 In fact the route instruction warned that "the penalty for a car leaving the road is up to 1000 ft and straight down!" The first part to Tubbut is reasonably open but then tightens as it clings to the side of the mountain descending to the Snowy and then climbing the other side. The last 10 km opens out into farmlands to the end at the junction with the Suggan Buggan Road (used in the 1968 London to Sydney Marathon). Conditions were excellent, damp but not treacherous so that dust was not a problem. The Brock Commodore, first on the road, started the stage at 3.17 am. After them came Ferguson, Mehta, Dunkerton, Carr, Nalder, Loader, Herrmann, Barth, Davis, Watson and Jackson, then Roberts, Rowney and Clarke who would have gotten in front of Mizel. The stage was always going to be pretty competitive, but Carr, Mehta and Rowney were all on a mission to at least show that they could have won the event, with Mehta probably passing Ferguson, Carr passing Dunkerton, and Rowney passing Roberts, Jackson and Watson, while Jackson must have passed Watson. The big loser was Davis who broke an axle in the 180B but as luck would have it, along came Giddings in the 200B and they had a spare in the boot! Davis changed it and continued, losing an hour. In such a remote location they would have surely failed to have finished the event if it were not for Giddings. Most of this transport down to the start of the next trial stage was on gravel so there was not a lot of time to dawdle. The first car passed through Gelantipy at about 4.45 am. A handful of crews were a few minutes late and some even a few minutes early. The seemingly straightforward run along Tullach Ard Road to the outskirts of Buchan was deceptively tricky in the wet with some very slippery spots and a quite steep descent at the end. Later cars would get to see it in daylight. Carr was still flying and probably passed Ferguson on the road while Brock did quite a reasonable time taking another minute from Ferguson to consolidate their lead. Mehta was more constrained (perhaps he drove instead of Aaltonen?) and matched Brock's time. The results show Loader losing 15 minutes but this cannot be correct as they maintained their road position in front of Herrmann who only lost 7 and would have been at most 4 or 5 minutes behind them on the road. Most times were under 15 minutes late, all were under 25 minutes late except for Heaton who short cut the stage and took a maximum 4 hour penalty for a wrong direction at the end. The first car snuck into the sleepy town of Buchan at about 5.30 am, just before dawn on Saturday morning. Nonetheless, there were quite a few locals milling around the refuel to see the cars pass through. There was again, no time to dawdle, with a further 13 km out to the start of the next trial stage at the Mount Johnson turnoff on Timbarra Road where the first car would have started just before 6 am. It was indeed tight and more than 20 cars lost a few minutes including Jackson and Mizel (1 minute each) and Davis (3 minutes). Maloney had some problem, dropping 22 minutes while Jones aborted and cut to Omeo via Bruthen. Brock would have had at least a 2 minute gap to Mehta, then 2 or 3 minutes to Carr, then Ferguson, perhaps 4 minutes to Dunkerton and about a 10 or 12 minute gap back to Nalder who was followed at 2 minute intervals by Loader and Herrmann. Rowney may have been next as he'd probably passed Barth on the previous stage. 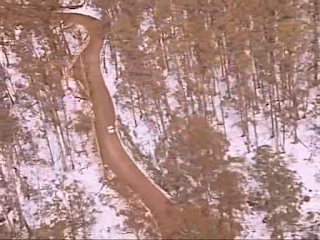 This trial stage across to the Omeo Highway at what is known locally as “Bark Sheds”, used roads that were familiar to many competitors having been used in Alpine and Akademos Rallies in the previous few years. From Timbarra Road the route was initially good quality but once onto Cutts Creek Road, the descent to the Timbarra River and the subsequent climb out the other side are very rocky and rough. The run over Mount Elizabeth was also in relatively poor condition and the roughness continued down Collins Road to the very end where it descends steeply to the crossing of the Tambo River right at the control point on the Omeo Highway. Carr was still flying and would have passed Mehta who apparently slid off the road into a log. Dunkerton did a good time and must have passed Ferguson. Herrmann was keen to catch Loader in seventh outright, picking up 2 minutes on the Lancer, which also did a reasonable time passing the Nalder Celica who were going easy on the rough stuff. 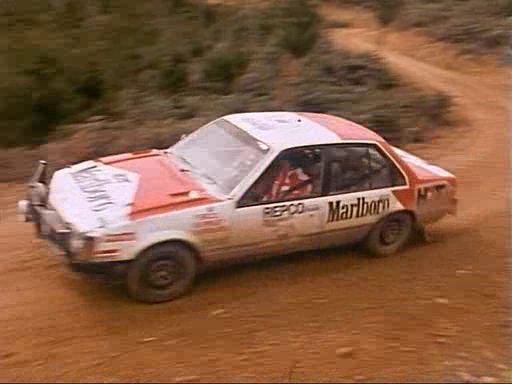 Based on the results as published in Sydney, Herrmann now believed that he had overtaken the Lancer but a 're-count' after the event found that the Lancer's score was out by 17 minutes. Gil Davis also did a fast time in the Datsun 180B, trying to make up for the time lost changing the broken axle on the McKillops Bridge stage. It was just light for the leading cars who headed up the bitumen Omeo Highway through Swifts Creek, Portman’s home town, where a contingent of excited locals was awaiting his arrival, but sadly, he was not coming. Onwards up the bitumen to Omeo beyond which many an Alpine Rally have used the twisty unsealed Omeo Highway competitively through to Mitta Mitta (it is now fully sealed), but being daylight it was necessarily a transport section. Nonetheless the organisers had split the section at Glen Valley, perhaps expecting a heavy covering of snow on the section to Mitta Mitta which may well have made it a “competitive” transport! The transport was fairly tight and quite a few cars lost time, mostly under 5 minutes. Davis, perhaps taking the time to check and re-check everything on the 180B, dropped 28 minutes, while both Myers and Tholstrup each dropped close to 2 hours. Tholstrup had broken a gearbox and had to wait for their service crew to reach them and subsequently limp into Albury in order to be classified as a finisher. This section of the Omeo Highway for about 60 km to Mitta Mitta could easily have been competitive but the time was set appropriately and whilst there was plenty of snow on the side of the road, there was none on the road. Nonetheless, perhaps fearing competitors would speed through sleepy Mitta Mitta, they broke the stage into two, placing an intermediate control just outside the town. This was designated Control N11A and the competitors continued on the remaining 7.4 km transport through Mitta Mitta and out Scrubby Creek Road to the start of the next trial stage. The twisty Omeo Highway run nonetheless required drivers to press on a bit, and quite a few crews were a few minutes late, but a few were 15 to 20 minutes late. The revised transport through Mitta Mitta failed to achieve the desired effect as it was too tight with about 20 cars losing between 1 and 3 minutes including Brock and Ferguson (1 minute each) and Nalder (2 minutes). Portman rejoined here having come directly from Canberra and cheekily slotted in ahead of Dunkerton. Nalder needed to stop for fuel in Mitta Mitta and the Herrmann Porsche slotted ahead of them on the road. The 2 minutes lost by Nalder took their event total loss on transport stages to just 3 minutes, by far the lowest of any competitor. The first car (still Brock) would have started the trial stage at about 9.35 am. The Trappers Gap Road runs partly across a ridgeline quite close to Mount Bogong, Victoria’s highest peak. Crews were treated to a wonderful view of the snow covered mountains as they negotiated this somewhat slippery road which has often been used in the Alpine Rally but usually in dry and dusty conditions. The final 7 km is a steep rocky descent which is so rough that the Alpine has normally transported over it. Carr and Mehta were both still pushing as if to make a point, whereas Herrmann and Loader were now fighting over 7th place. All four of them cleaned. Having rejoined, Portman was tippy toeing so as to not break the Stanza, dropping 5, whereas most of the other leaders dropped 1, 2 or 3 minutes. Davis was struggling and was slow here and on the final special stage. A total of 63 cars are recorded as having completed the stage with all scores under 20 minutes. No time was recorded for Bolch. After heading out to the Kiewa Valley Highway at Tawonga it was a straightforward run up the bitumen to Dederang and then across to Yackandandah. The transport ended just out of town on Bells Flat Road where the final competitive stage of the event would start. The stage was not too tight but a number of cars still lost time, including Davis (12 minutes late). On the other hand, a number of cars managed to book in early! The first car started the final special stage just before 11.00 am. The road order at the front was Brock, Carr, Mehta, Portman, Dunkerton, Ferguson, Loader, Herrmann, Nalder, Rowney, then probably Watson. 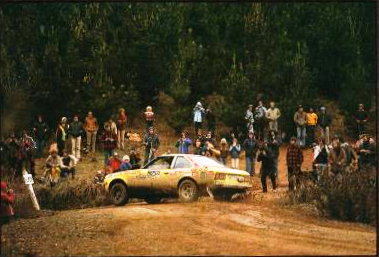 The meandering final stage through the Stanley pine plantation was reminiscent of many Alpine Rallies that had used these roads previously. The conditions were initially quite good, slippery without being treacherous, but it started to rain by about midday and the later cars would be faced with quite challenging conditions. 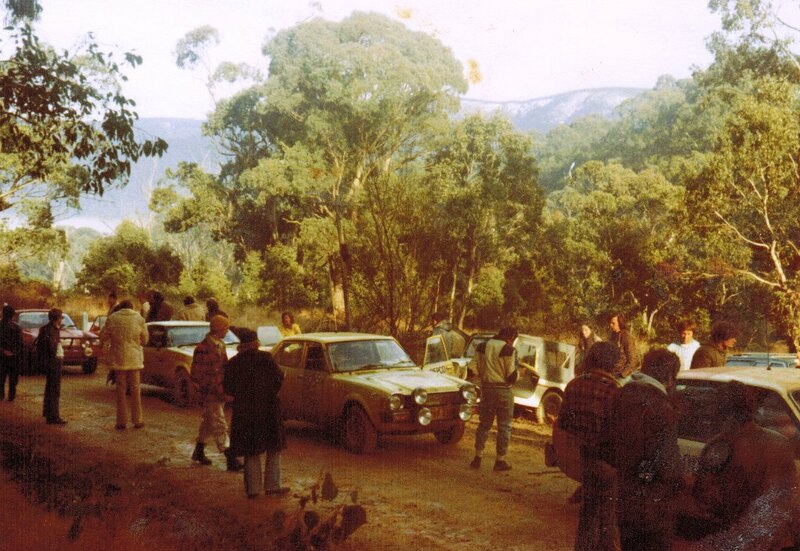 The special stage ended almost in the back street of Beechworth having given spectators some viewing opportunities near Fletcher Dam and at the Mansions picnic area. As the final stage of the event, some competitors just wanted to make a point, whereas Loader/Hill and Herrmann were quite close in outright scores and really did need to push. For most, getting to the finish was all that mattered and to push too hard and stumble at the final hurdle was just not something to contemplate. Nonetheless, having been driving competitively for two weeks meant that most were well and truly “dialled in” and could push a bit without serious risk. Aaltonen certainly did that, setting an impressive time, although Carr and Brock both also set great times. Gil Davis was slow again, perhaps because of car issues or perhaps just because they were now further back and on the wet and treacherous roads. It was an easy run up to Albury where cars were impounded at the showgrounds for the final time. All the leaders made it on time although a few cars further back in the field were late. By the time the first car arrived soon after midday it was raining heavily and no-one wanted to hang around too long. The post-mortems and the partying quickly moved to the Travelodge! I knew the McKillops Bridge Road reasonably well and was quite pleased to be asleep in the back because its can be quite scary. Wes took it fairly easy as there was nothing to fight for, and I actually managed to sleep! Wes stayed in the driver’s seat through to the Buchan refuel, first for the transport down to Tulluch Ard Road where the control was being manned by the Victorian Rally Association and a familiar face in Mike Welsh. I slept soundly through the Tullach Ard stage which passed uneventfully and Wes drove into the Buchan refuel where there was a small crowd at 6 o’clock in the morning! I swapped into the driver’s seat and we headed out to the start of the Mount Elizabeth stage. I was really quite surprised at how rough this stage was as I’d been over those roads numerous times before. I decided to take it fairly gently as there was nothing to fight for, but Ian Hill did have a battle going on with Edgar Herrmann so we weren’t surprised when he passed us going down Mount Elizabeth Road. At the control it was good to see my friends George and Donnie Davidson. Herrmann came in on our tail but we were busy having a coffee! I insisted on driving up the Omeo Highway because it’s such fun! What a shame they couldn’t use the section north of Omeo competitively, as had been done in several Alpine Rallies in previous years, but at night of course. While we pushed along it was daylight and we did take it fairly easy. We were stopped briefly at Swifts Creek by the “Portman fan club”. As we approached Omeo, perhaps going a tad fast, we came over a brow to see a policeman standing in the middle of the road waving us right, but I elected to go straight ahead, and I did not feel inclined to go back and discuss the matter further! 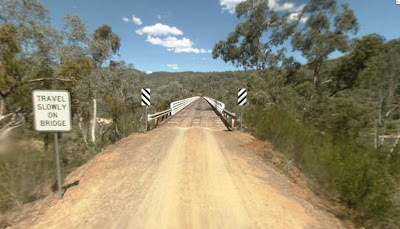 We went through Omeo and out the other road and in fact I chose to take the Binjo Munjie Shortcut instead of going up the highway which the route chart indicated. If it hadn’t been for our delay in Swifts Creek we probably would have gotten in front of the Lancer without actually passing them, which would have really spooked them, but they were still in front of us when we got to the Glen Valley control. I enjoyed the highway but had to be careful even though we did not see any other cars. Simon Brown and cohorts were running the control and we received the amended instructions inserting the extra control on the outskirts of Mitta Mitta. Simon told us that there was no snow on the road so there was no need to be concerned. Wes drove the transport up to Mitta Mitta and I stayed awake in the back for most of the time. It was very picturesque. We had a couple of minutes to spare at Mitta Mitta but they had tricked us by making the transport through town short and tight because we needed to stop for some fuel at the Mitta Mitta store. Herrmann went past and we were 2 minutes late on the transport, taking our score on transports through the entire event to only 3 minutes (the other minute was into Shay Gap). The next best score on all transports was Ferguson on 11 then Brock on 15. We departed on the Trappers Gap stage at 10.00 am exactly with Wes driving and me watching the lovely scenery from the back seat. Wes took it gently on the rough and rocky descent, as was appropriate in the circumstances, so we were 3 minutes slower than Herrmann. Wes continued to drive up to Yackandandah where the control was being run by Mike Rebbechi of the North Eastern Car Club. I settled into the driver’s seat for the final special stage through one of my favourite forests – Stanley Plantation. I really knew these roads like the back of my hand having directed three Alpine Rallies that have used them all. While there was no room for silly risks, I still wanted to have a go in my “own” forest and use my local knowledge to get a reasonable time. I particularly enjoyed the kilometre of “straight” crests on K/Gate Teazes Road where Geoff and Wes were discernibly nervous. When I used a fair bit of the grassy verge at the end Geoff made a rude remark so I settled down. I knew where the tricky bits were, like the dam in the middle of the Y-junction at the end of Raws Road, or the slippery part of Pratts Road, so I knew when I could push and when to take it easy. There were a lot of spectators near the end and I threw it around Mansions Picnic Ground and over the dam at the end where the picture was taken that appears in Tuckey’s book. We did a good time but more importantly, we were effectively at the finish and we were definitely sixth. My wife and parents were at the end control which was run by friend Neil Ottaway, also of the North Eastern Car Club. Wes drove the car up to Albury but we were nearly cleaned up by a car emerging from a side street as we went through Beechworth and Wes had to take severe evasive action. It made one wonder whether we were meant to finish! Then at about 15 km Wes got booked by a policeman who had been tailing us. So the final transport was not without some interest, unfortunately of the wrong kind. We booked into the Albury Showgrounds as the rain came down. I chatted briefly to Frank Kilfoyle, road director and good friend, who was very complimentary of our performance. We didn’t linger long but headed to the Travelodge to freshen up and join the party.